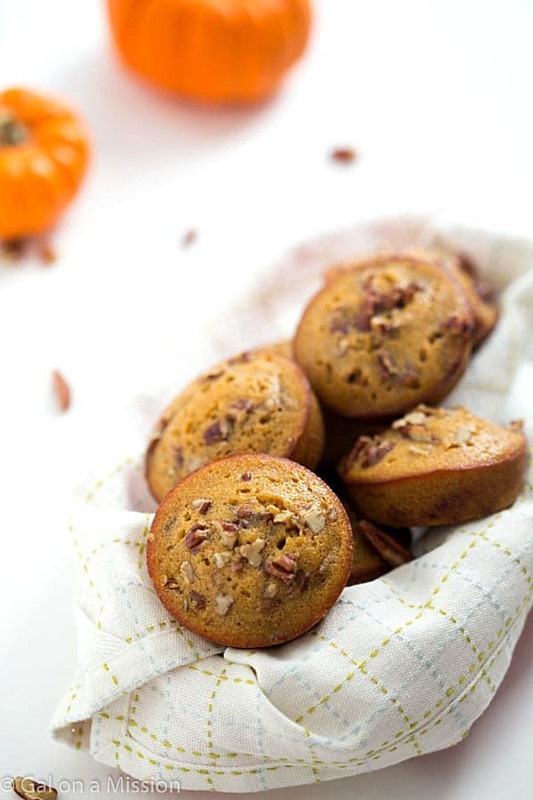 Pumpkin Pecan Pie Muffins – Just like a classic pecan pie, but even better! It’s Chelsea again from Gal on a Mission! Wow. I cannot believe it’s almost November. Who knew October could go by this quickly? Not me. 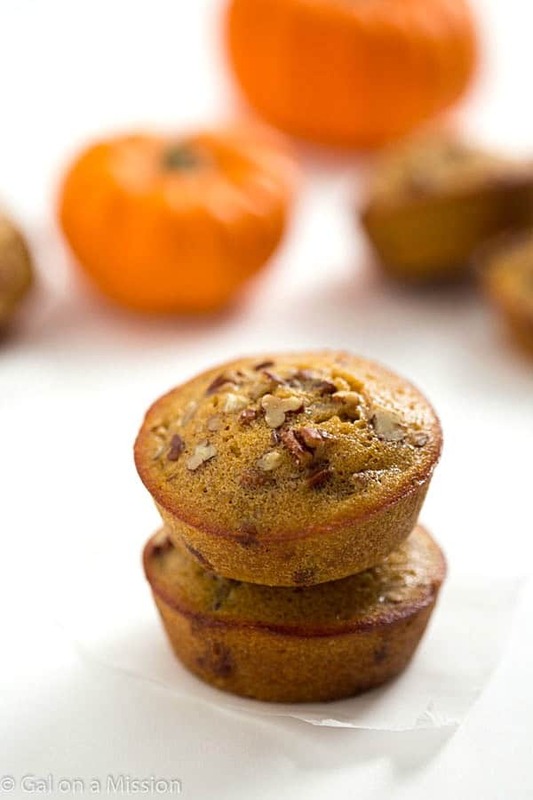 Today you’re in for a real treat, pumpkin pecan pie muffins. I totally added pumpkin puree and pumpkin pie spice to pecan pie muffins. If you have never had a pecan pie muffin before, you are going to go crazy of these. They have the same flavor of a pecan pie with the sweetness from the brown sugar and the crunchy pecans chopped into the batter. They are to die for when you slice one apart and warm it in the microwave for a few seconds. Add a slice of butter and they melt-in-your-mouth. Mmmmm. As you will see in the photos, these muffins do not rise like traditional muffins because I didn’t add baking powder. I like to have them almost like a mini-sized, so I can enjoy even more! The other best part about these muffins is it is a small-batch and only makes eight muffins in total. Perfect if you have a small family, like us. Need more, just double the batch! Preheat oven to 350 degrees. Spray non-stick cooking spray into a regular muffin pan. Set aside. Cream together the butter, brown sugar, and eggs together in a medium-sized mixing bowl. 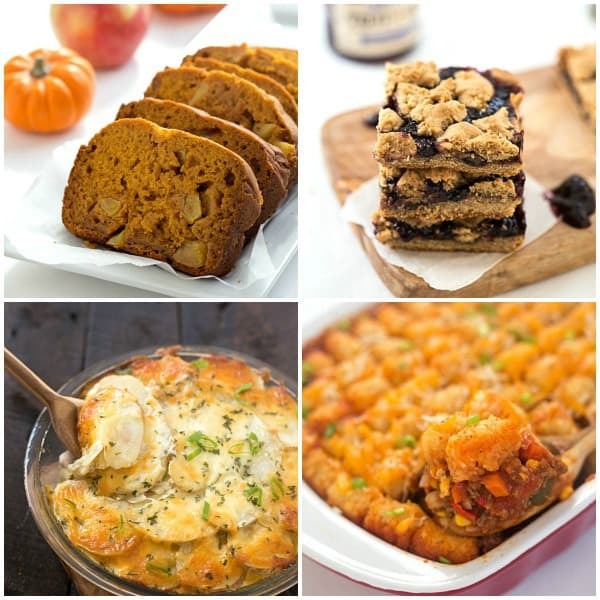 Stir in the pumpkin puree, vanilla extract, salt and pumpkin pie spice together in the batter. Slowly fold in the flour and ¾ cup chopped pecans. Pour batter into the muffin pan. Top with the remaining chopped pecans. Bake for 20 minutes or until an inserted toothpick comes out clean. I’ve made pecan pie muffins before and the family loved them but pumpkin pecan pie muffins is a step toward even more deliciousness!